The Empire Center for Public Policy (formerly the Empire Center for New York State Policy) is a conservative state-based think tank "dedicated to promoting freedom, opportunity and enterprise" in New York, according to the organization's website. The Empire Center is a project of the Manhattan Institute for Policy Research and a member of the State Policy Network. In 2016 the Empire Center for Public Policy received $50,000 from the Lynde and Harry Bradley Foundation. The Empire Center's parent organization, the Manhattan Institute for Policy Research has ties to the American Legislative Exchange Council. 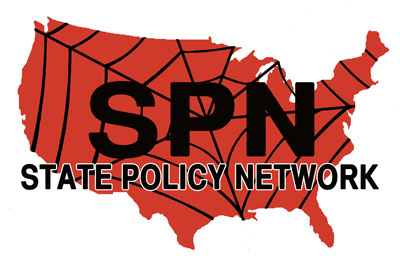 The Empire Center also belongs to the State Policy Network, which is an ALEC member. The Empire Center for Public Policy has hosted writers from the ALEC-connected Franklin Center for Government and Public Integrity, which screens potential reporters on their “free market” views as part of the job application process. The Franklin Center funds reporters in over 40 states. Despite their non-partisan description, many of the websites funded by the Franklin Center have received criticism for their conservative bias. On its website, the Franklin Center claims it "provides 10 percent of all daily reporting from state capitals nationwide." The Empire Center received $127,532 from DonorsTrust and Donors Capital Fund between 2012 and 2013, "two funds that have been closely tied to the Kochs but which obscure the percentage of their grants coming from Koch money." A full list of DonorsTrust and Donors Capital Fund grant recipients is available here. ↑ 7.0 7.1 Paul Abowd, Center for Public Integrity, Donors use charity to push free-market policies in states, organizational report, February 14, 2013. ↑ Empire Center for Public Policy, 2016 IRS Form 990, ProPublica, February 2, 2017, p. 1. ↑ Empire Center for Public Policy, [www.guidestar.org/FinDocuments/2015/461/987/2015-461987418-0cae5aed-9.pdf 2014 IRS Form 990], organizational tax filing, February 15, 2016, p. 1. ↑ Empire Center for New York State Policy, 2013 IRS Form 990, Internal Revenue Service, January 12, 2015, p. 1. ↑ Empire Center for New York State Policy, 2012 IRS Form 990, Internal Revenue Service, October 21, 2013. ↑ Empire Center for New York State Policy,2012 IRS Form 990, Internal Revenue Service, 2012. ↑ Empire Center for New York State Policy, 2011 IRS Form 990, Internal Revenue Service, 2011. ↑ Empire Center for New York State Policy, 2010 IRS Form 990, Internal Revenue Service, 2010. ↑ Empire Center, Staff, organizational website, accessed August 29, 2016. ↑ Empire Center, Board of Directors, organizational website, accessed September 2017. This page was last edited on 12 November 2018, at 20:45.